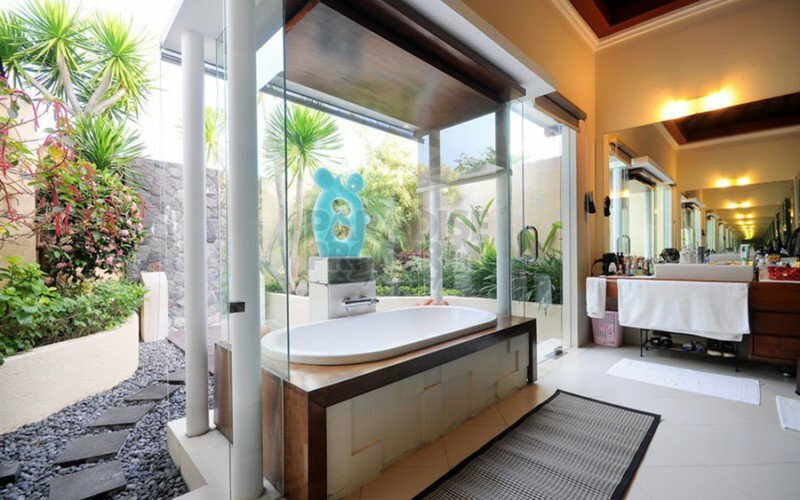 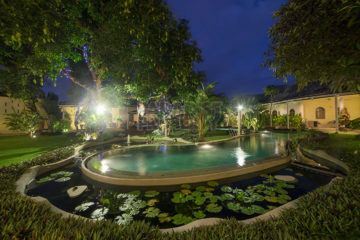 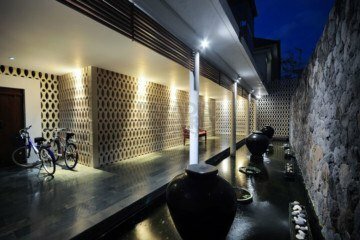 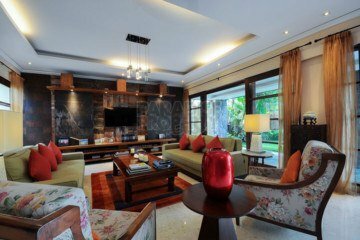 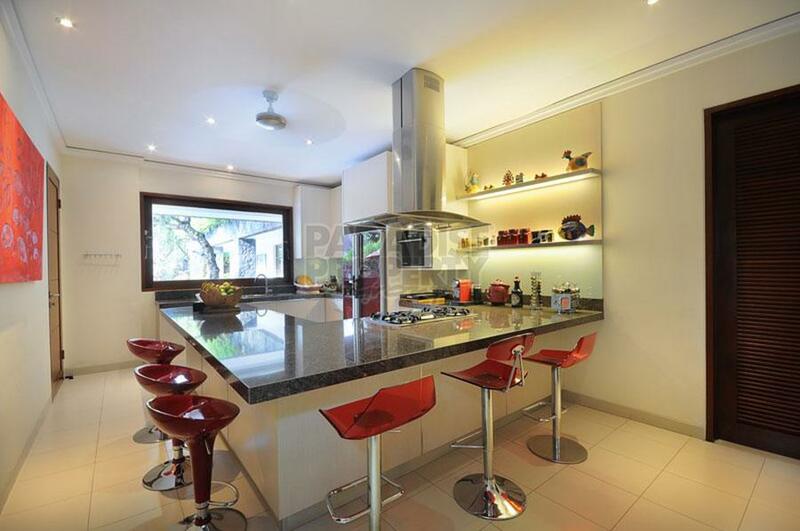 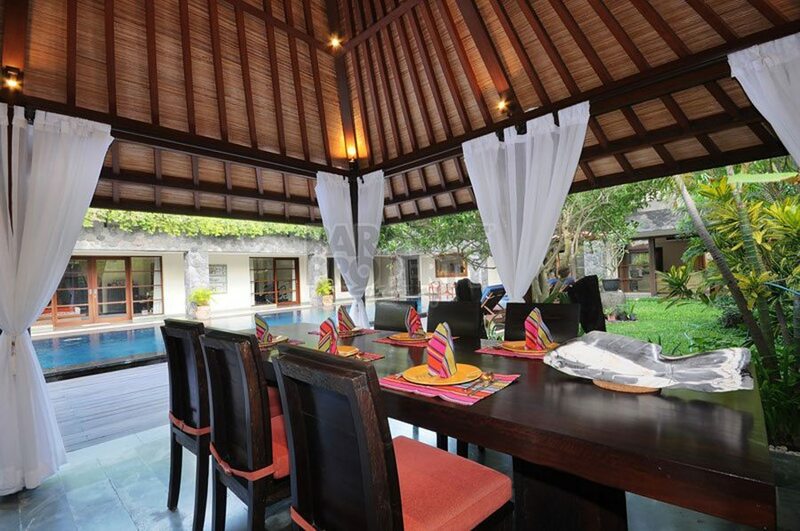 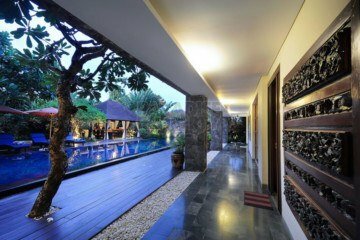 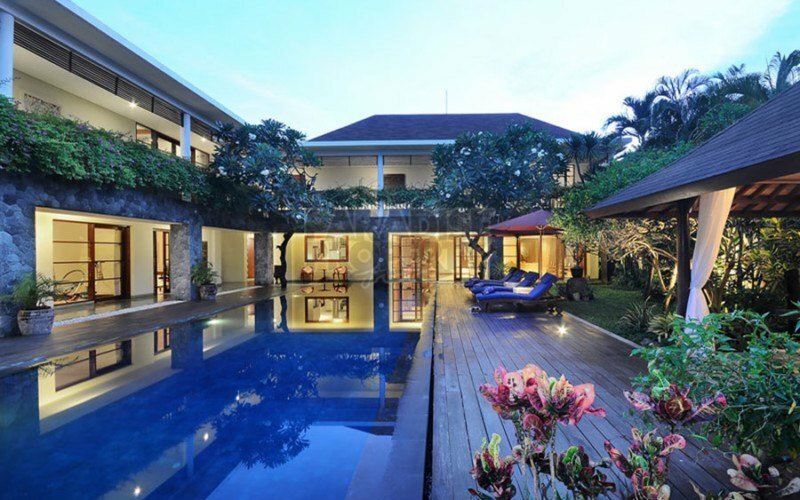 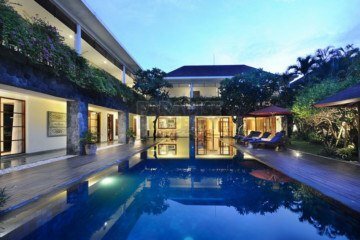 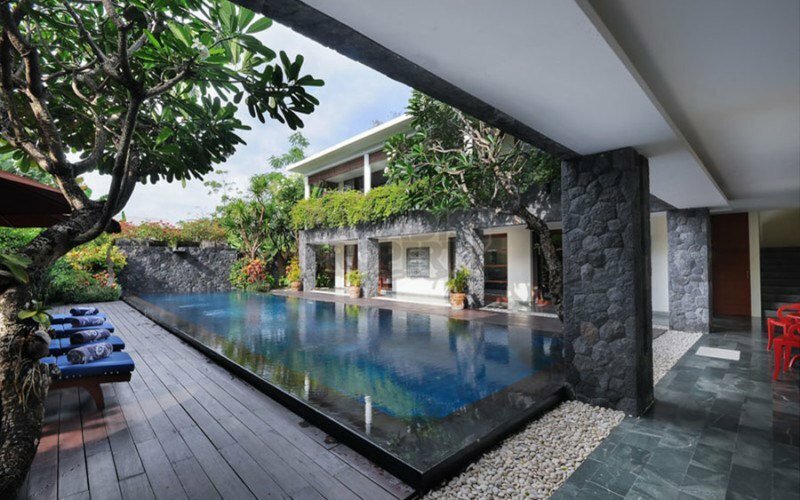 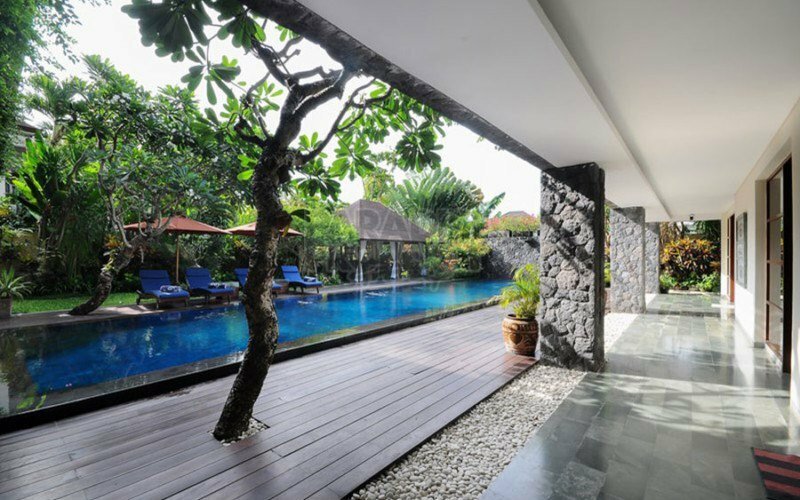 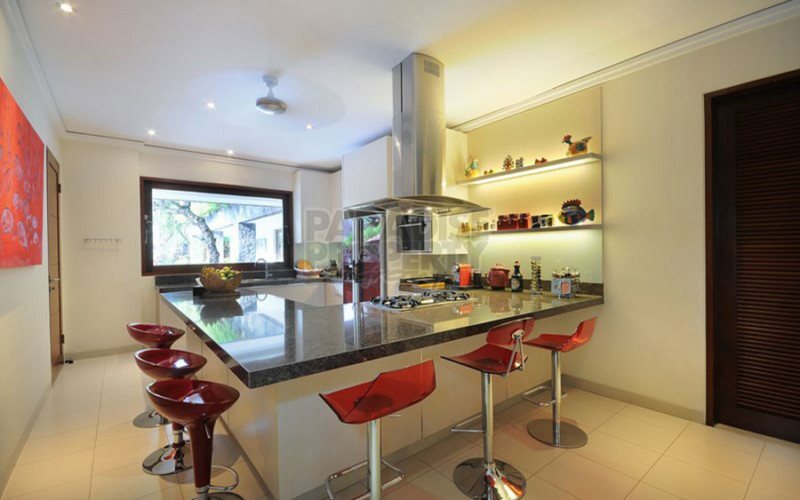 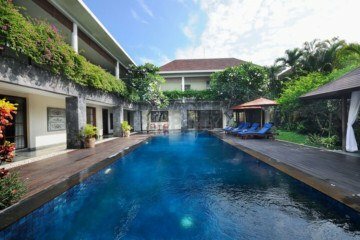 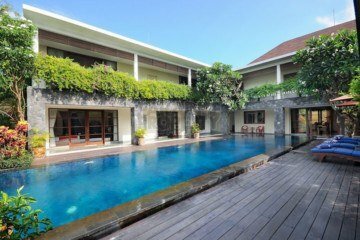 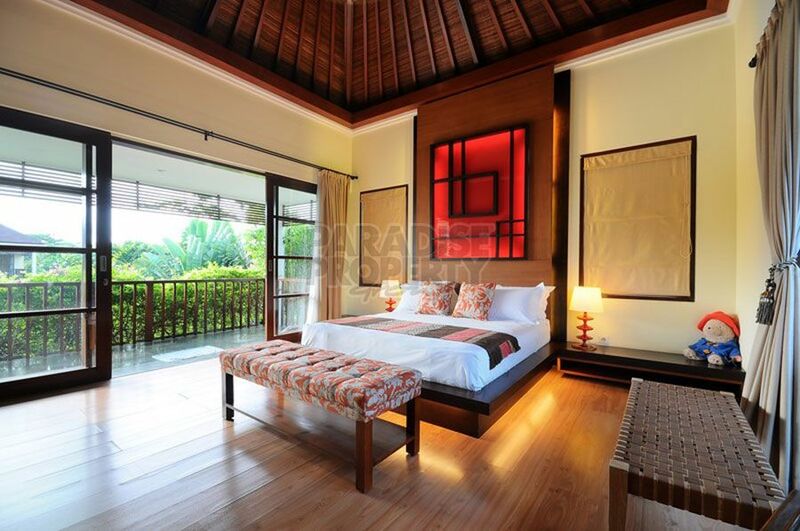 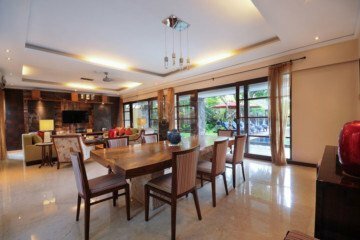 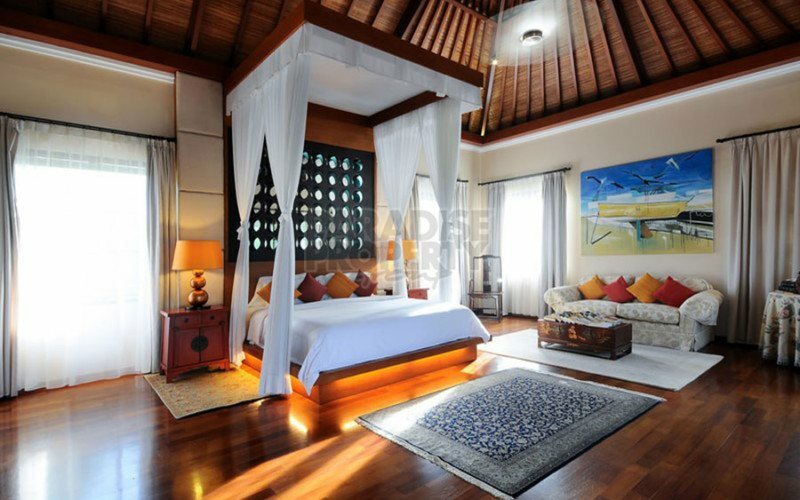 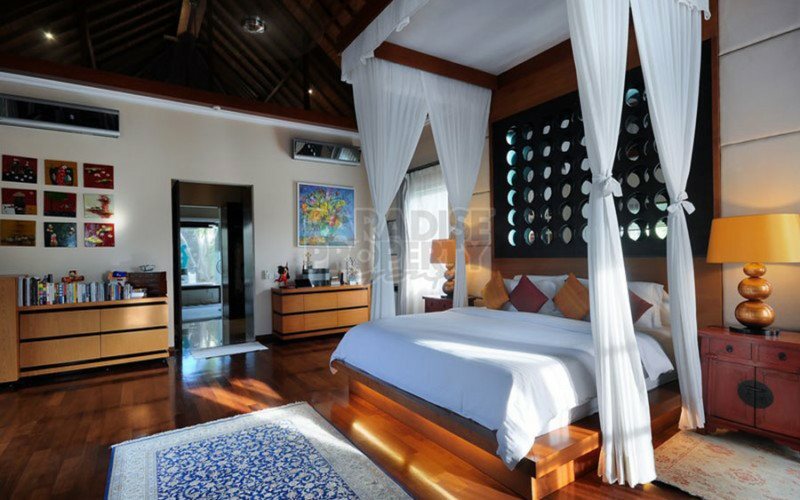 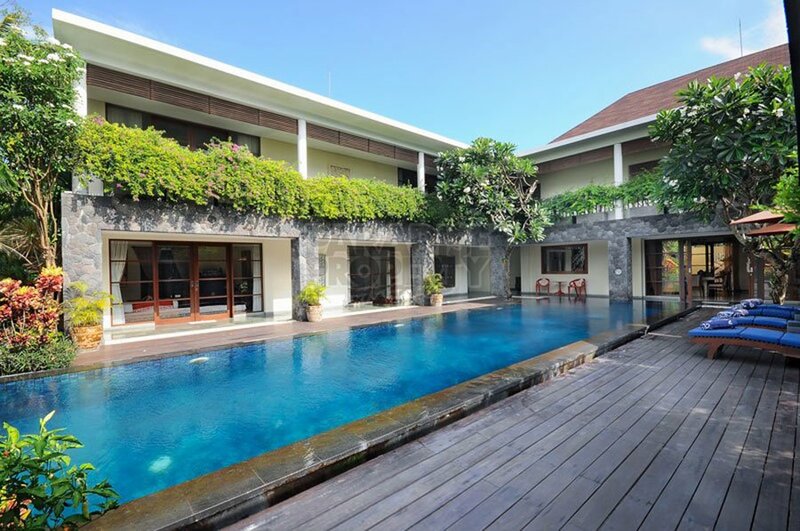 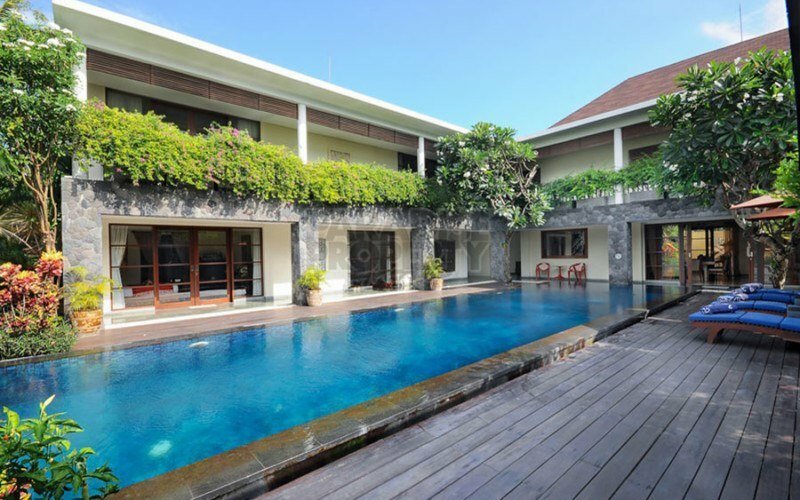 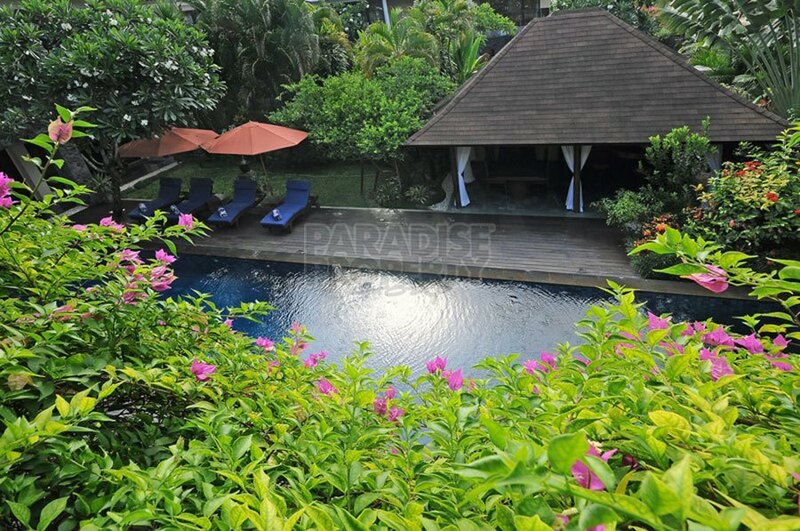 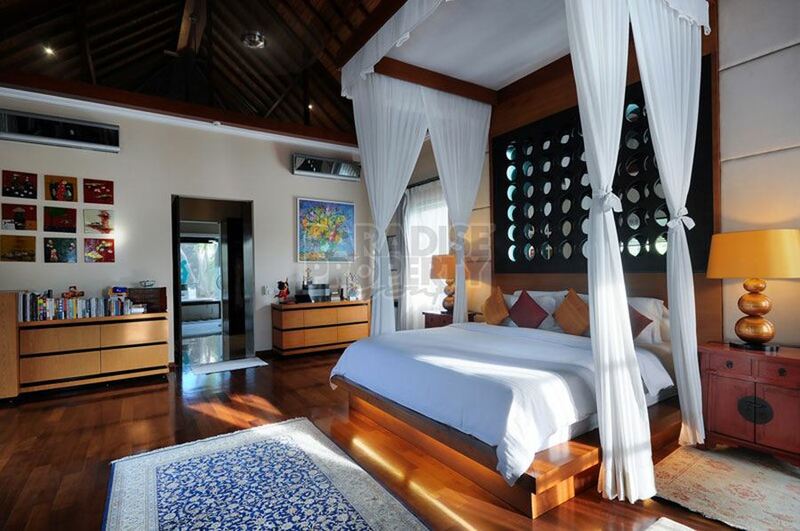 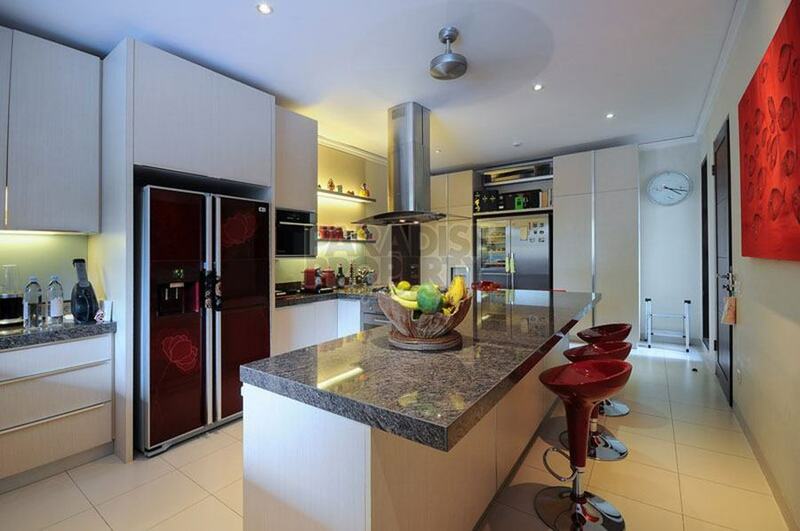 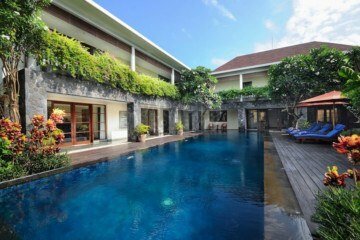 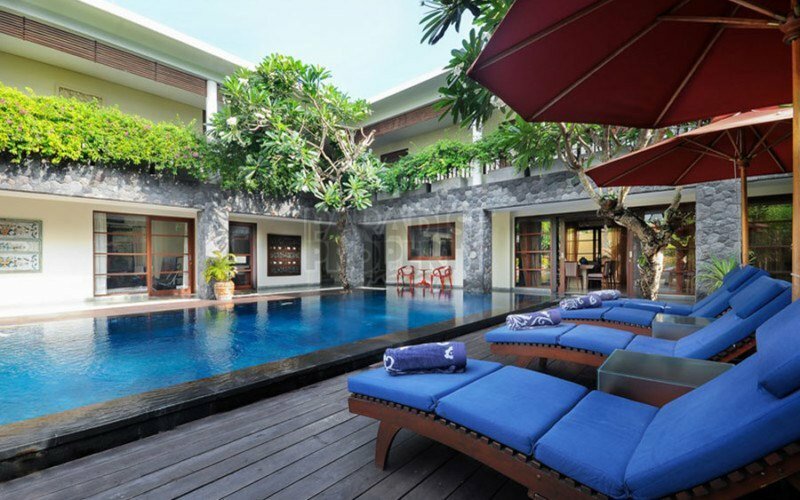 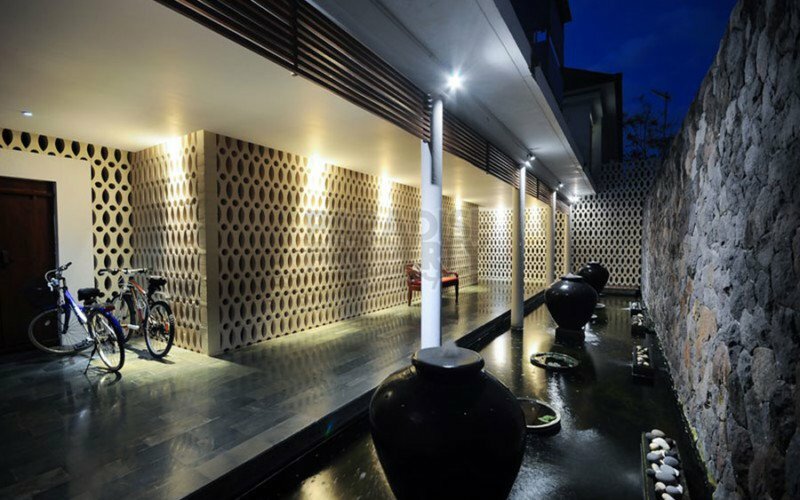 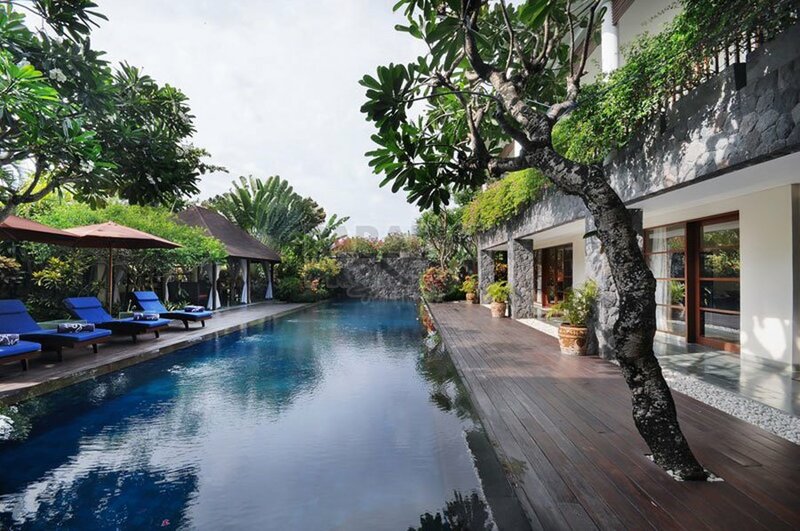 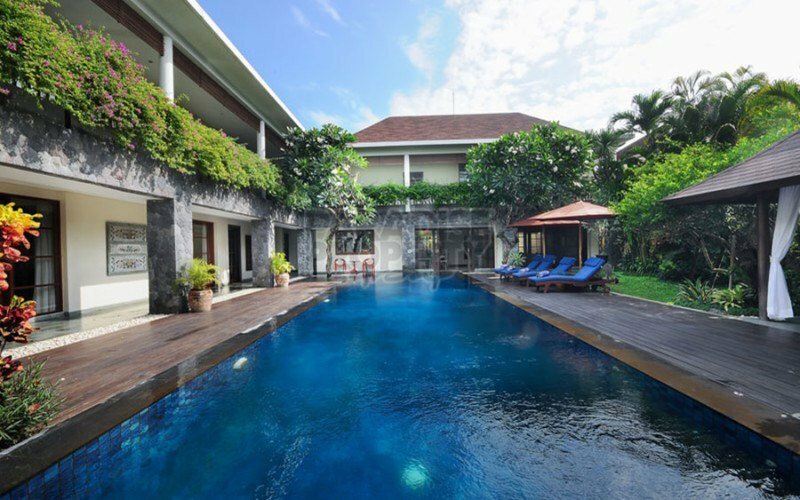 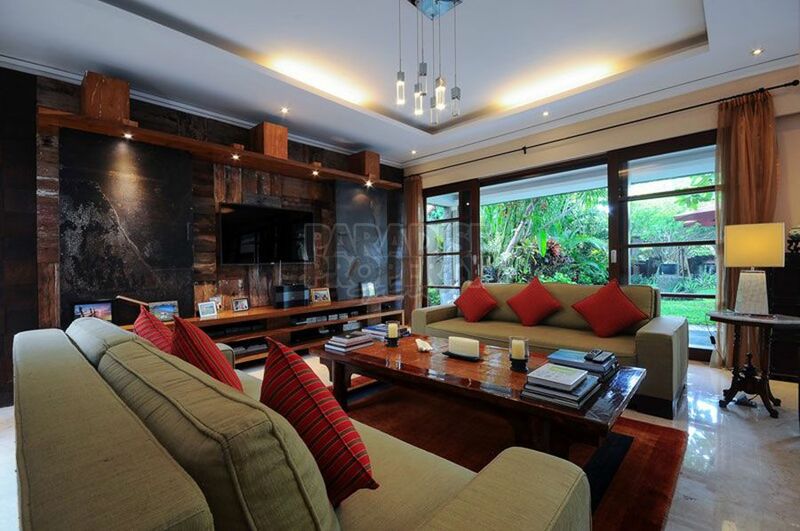 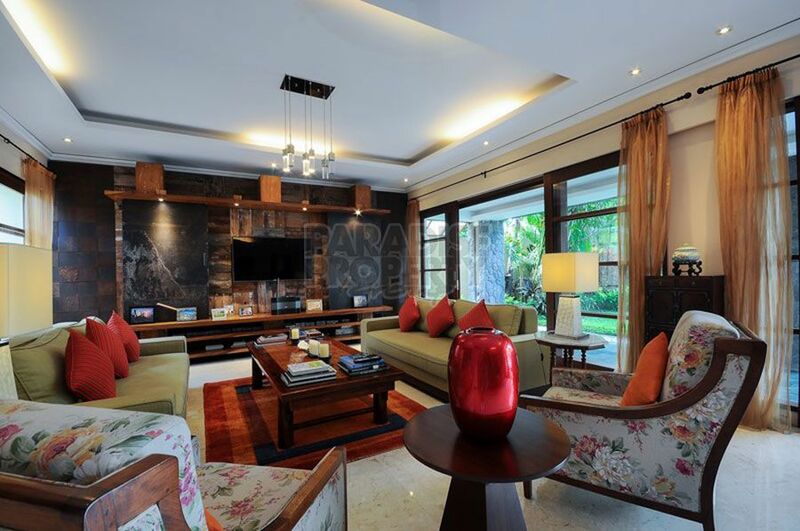 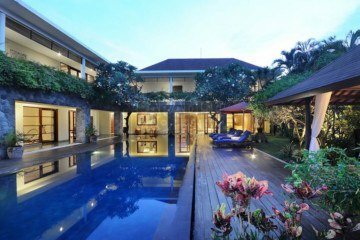 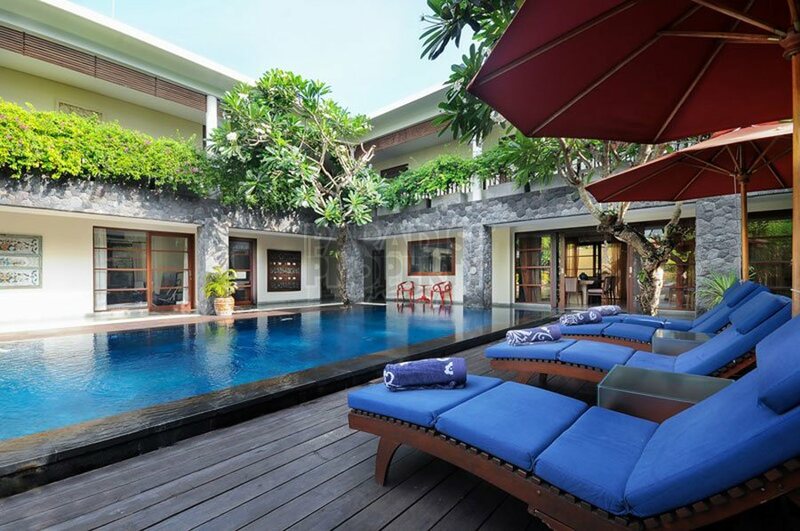 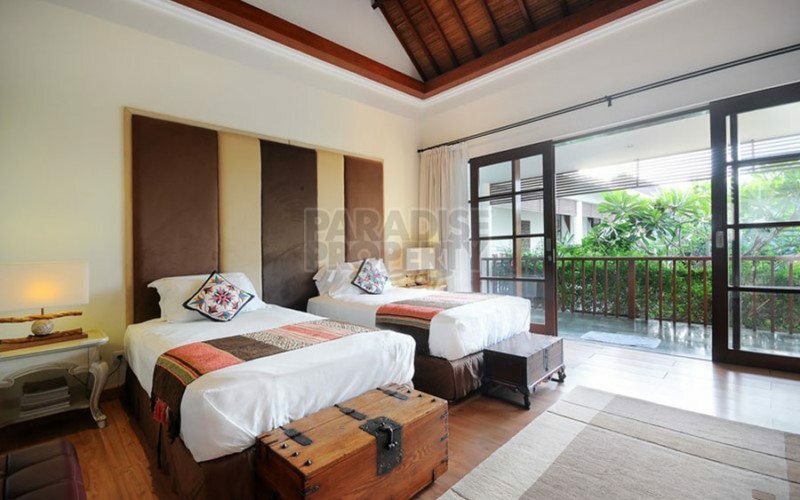 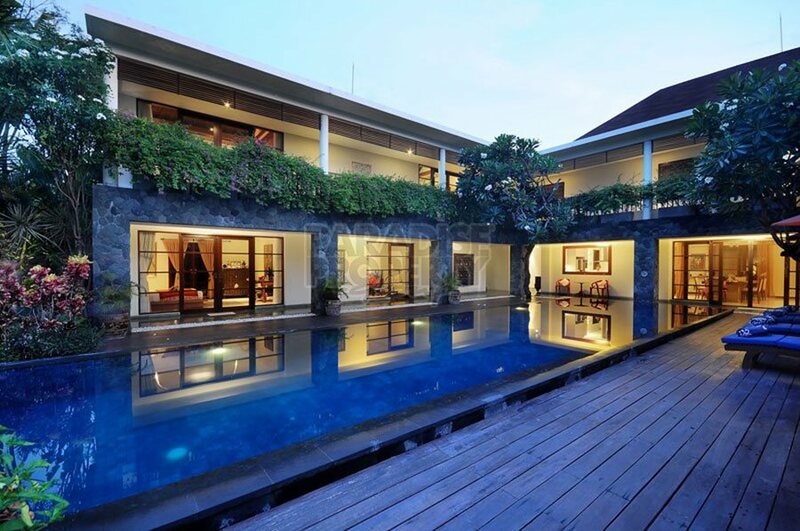 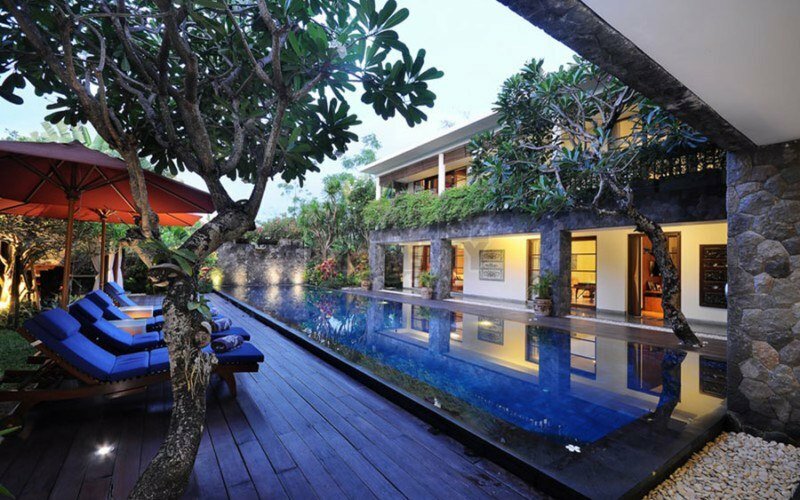 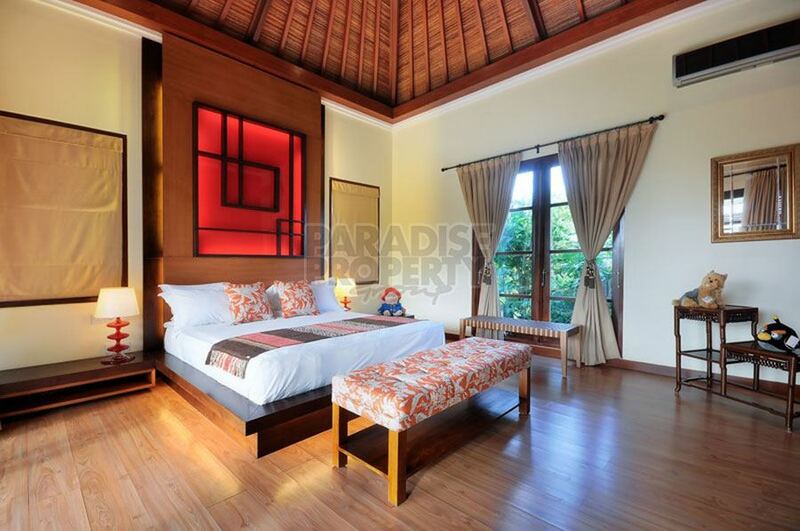 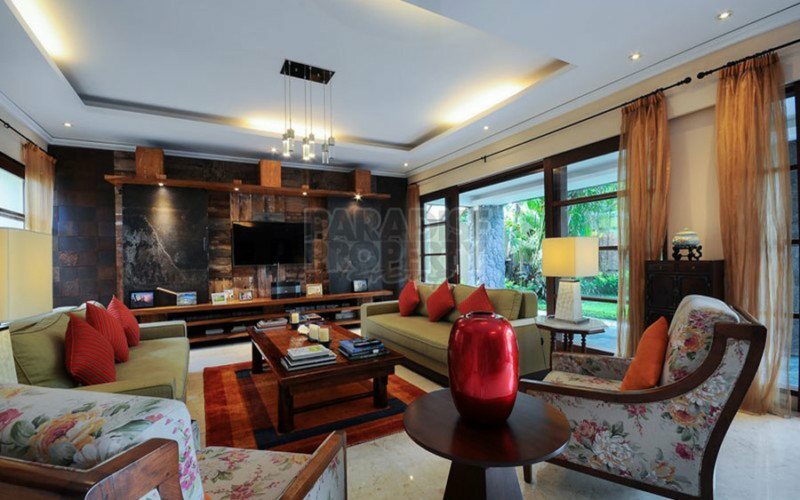 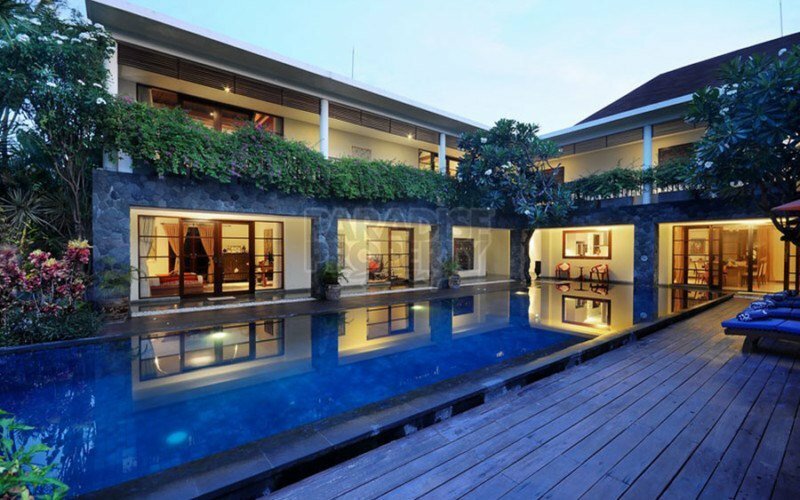 This stylish and luxury 4 bedroom villa located within a prime location in Sanur is a must see. 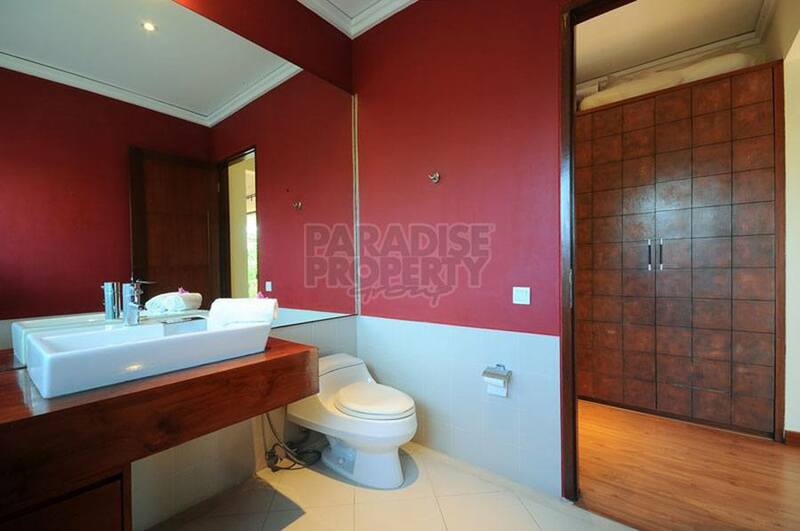 Located within a 5 minute drive to the pristine white sand beach and within a very pleasant private and secure residential estate, this property will prove to be an extremely nice family residence. 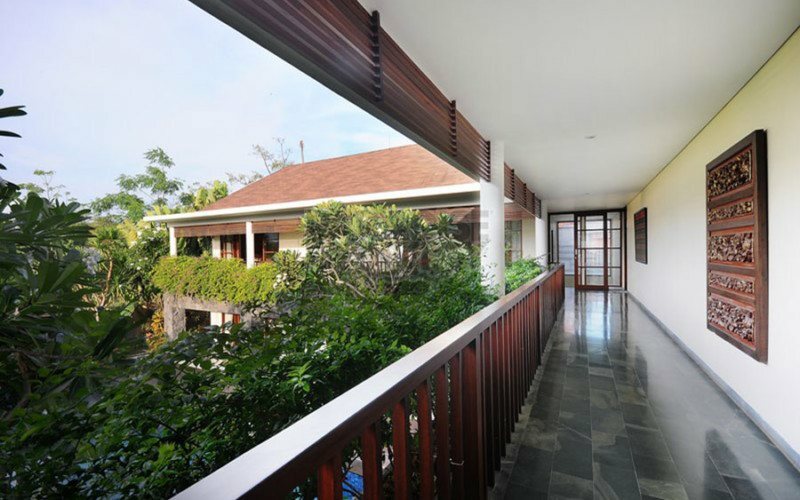 On entering the estate that has lush landscaped surroundings, a large garage provides enough parking space for 2 cars. Once outside, you enter the property and are greeted by a very pleasant Koi pond and a corridor that leads you inside the property. Once you have reached the end of the corridor the WOW FACTOR kicks in. 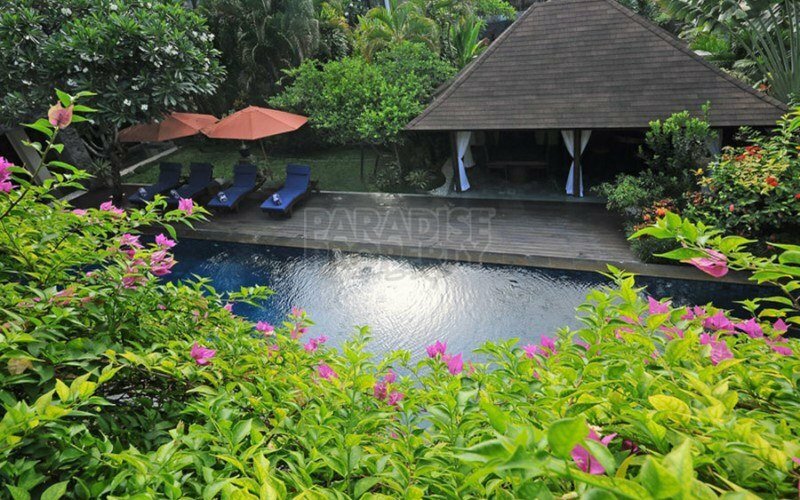 A huge 18 meter x 4 meter salt water swimming pool meets your eyes along with the lush tropical gardens and wide range of very tasteful materials that were used for the development of this stylish and high end residence. 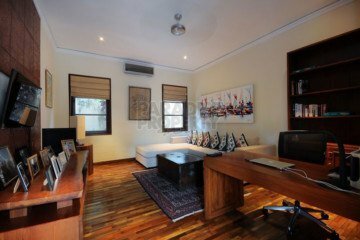 On the ground floor there is one spacious en-suite guest bedroom, a small massage room / a gym / a study / TV room and an oversized luxury living and dining room. A fully equipped high end kitchen connects to the living room along with a wet kitchen, laundry, storage and staff area. Within the garden area and overlooking the pool you will find a great entertainment area / pavilion for dining. 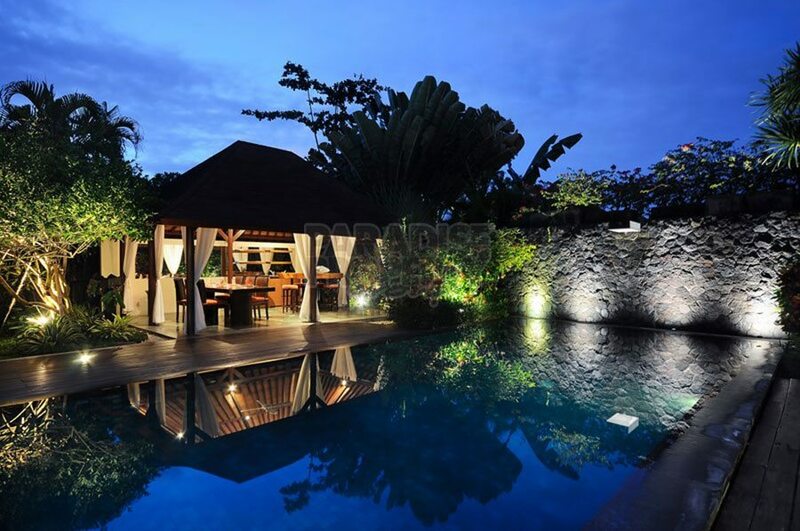 This area has its own bar and provides an extremely nice view looking onto the stylish residence. A wide staircase leads you to the second floor where you will find 2 more very spacious bedrooms with en-suites and then you find an incredible, extremely large luxury master bedroom with a huge changing area and a very spacious en-suite bathroom. Absolute 5 star quality and extremely impressive. 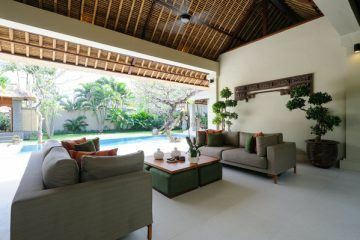 The property has been developed to a very high standard with a lot of love and attention, choosing the finest materials and very stylish furnishings throughout the property. 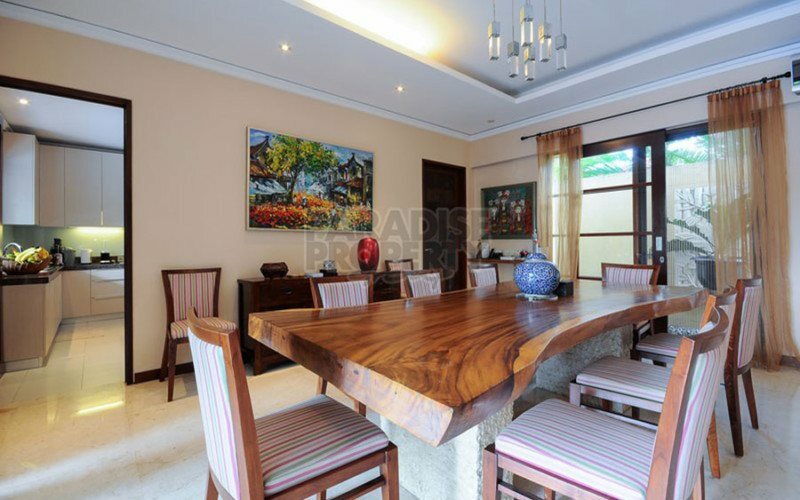 The property comes with a very attractive long term lease agreement that expires in 2056 and is extendable. 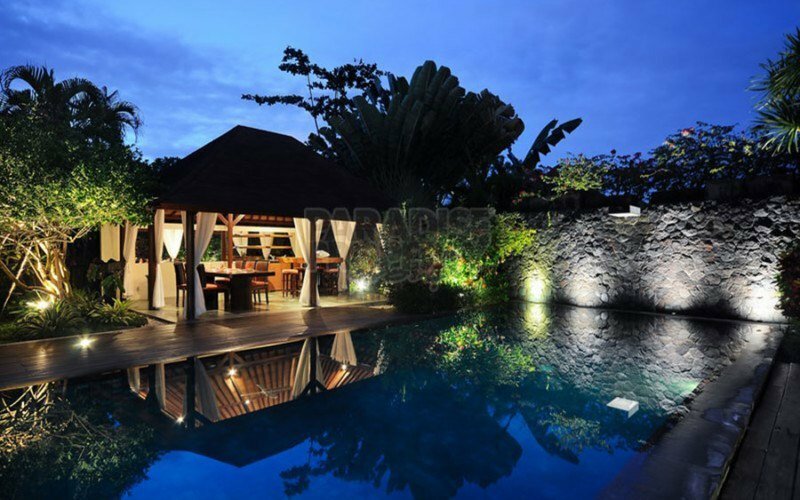 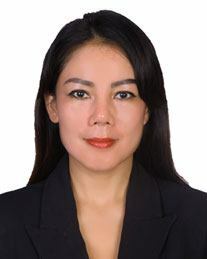 This leasehold agreement is perfect for a foreign investor as the lease can be legally registered into your family name. 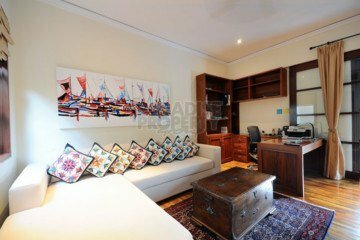 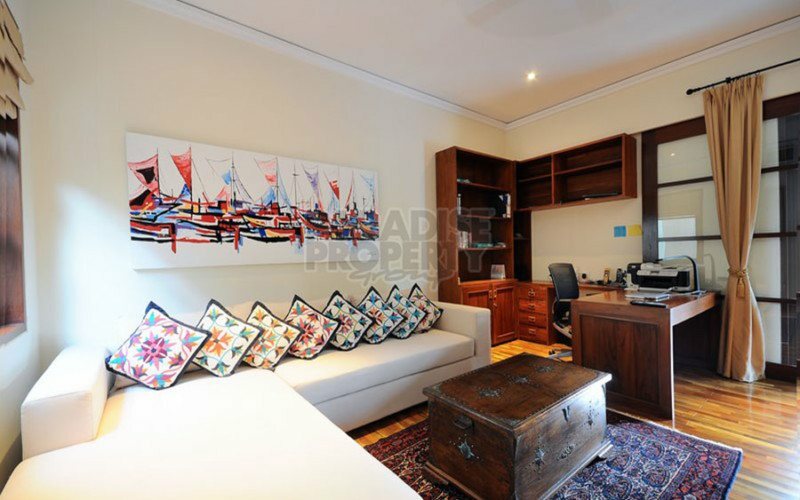 The property is delivered fully furnished, so this will be a stress free property investment as all you will require is to bring your suitcase and straight away you can enjoy this superb property investment that will provide happiness for years to come. 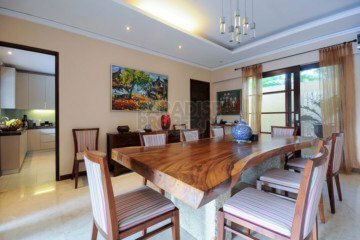 For further information and to arrange your inspection, contact me today so i can arrange a very satisfying tour of the property.